Please, for the sake of your business, stop asking me to give you a ballpark estimate. It happens to consultants just like me, every day – at some point during a (usually light-on-details) conversation with a very excited client like you, about a new website or custom software that you’ve dreamed up to help you run your business, you’ll ask The Question. I understand why this seems like a perfectly reasonable question, I really do. You have a business to run, and getting a broad sense of what something costs is probably a handy proxy for quickly deciding if it’s something you can handle, or not. I get that – business life often boils down to making decisions quickly, based on broad or even vague information. Remember, I run a small business, too, so I share a lot of the same concerns you do. That said, as a fellow small business owner with deep experience bringing technical projects to life, that question translates to: “So, can you guess exactly what’s required to make this thing we haven’t even fully-defined yet?”. Frankly, a request for a ballpark estimate puts me in a tough spot and makes it less likely that I’ll be able to help you. Don’t get me wrong – I’m in this line of business because I love helping people just like you solve business problems, and my eagerness to please makes me want to answer the question; however, experience tells me that it’s bad for both of us if I do. This probably seems bewildering to you. After all, if you need new lobby furniture, a new truck, a new computer, or a replacement for your worn-out office A/C unit, you can jump on the internet and find price ranges for replacements, easily. So why, after discussing this website or app you want and hearing an appliance-like description of what it does, can’t I give you a reliable price range? Only the person building a thing can give a real estimate. Now, my company may be small, but it’s not just-one-person small. I have a small team of designers and coders who are going to be involved in your project, and my 20 years of experience has taught me something important – only the person who is actually going to build a thing can estimate it, ballpark estimate or otherwise. We need more details – LOTS more. When you price out a new truck, for example, you’re pricing out a mass-produced item whose creation has been systemized and iterated down to a literal science. Building a new website or custom software is the very opposite of that; you’re asking me to figure out what it will cost to build something that, by definition, has never existed before. You’re focused on the wrong thing. Even worse, you’re asking me to help you focus on the wrong thing. How so? If I charge you $10,000 to build a web app that saves or generate $50,000 of revenue, that project effectively cost you $0. But when you ask about cost up front, any answer I give you will just boil down to whether or not you feel like spending $10,000 today, so both you and I end up being robbed of what could be a profitable project. If there’s one thing that almost 20 years of doing this has taught me, dear client, it’s that a preliminary discussion about a potential project is not the time to ask me to be glib. I’m not here to foul you up, I’m here to help you do better. 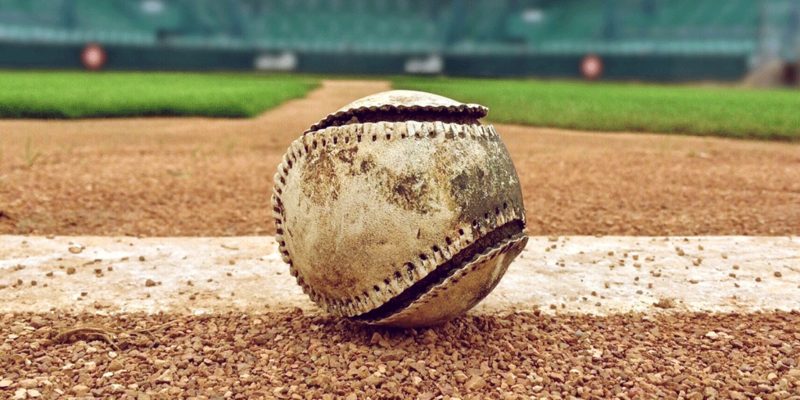 So, if you can’t ask for a ballpark estimate, what should you be asking instead? In an extremely preliminary, light-on-details conversation like this, you shouldn’t be asking anything other than “is this possible?“. If the answer to that question is yes, then instead of trying to hastily figure out a large fictional dollar figure based on no details, it’s far better to allocate a small sum of money to doing a concrete bit of planning, known as a project discovery session (sometimes known as “requirements gathering” or “roadmapping”). Project discovery is the first phase of every project, big or small; it’s how we figure out the important details of your project, including whether or not the project should be done at all! Since the project discovery phase has to happen anyway, it’s to your advantage to commit to just that phase up front, and then only commit to the larger project if discovery indicates that the project idea offers a high likelihood of bringing you profit. Otherwise, you’re committing to the entire multi-thousand-dollar project before we’ve even looked at it together in enough depth to know if you should do the project. Plenty of bad $50,000 “ballpark estimate” projects have been avoided for the cost of a $1000 discovery session. We’ll also talk about what forces may work against the project, dear client, including regulatory issues, the degree of buy-in required from your employees, what requirements the project will make on your IT infrastructure, and more. And of course, we’ll discuss nuts-and-bolts particulars of how to actually get the work done. It’s important to note here that there’s no technical jargon during a discovery session. We’re just two businesspeople, discussing the particulars of something that can improve your business, writing on a whiteboard, and sharing coffee (which I will gladly spring for). Now you’re allowed to ask how much the project will cost! You thought I had forgotten about that, didn’t you? It’s OK – I know you’ve been dying to know when you can ask, and the answer is, “now”. And the best part is, I’ll be able to give you a real answer, not a ballpark estimate. You’ll have a more in-depth understanding of your project. From pros & cons to potential profitability, you’ll have a newfound sense of x-ray vision for how your business is currently operating vs. how the new project will enable it to operate. You’ll have a rock-solid grasp of why you want to do this project and what you’ll get from it. I will hand you a complete project plan. This project plan covers all the particulars we uncovered during discovery; this plan is yours, bought and paid for. If you want, you can use this plan to execute the project yourself, or even shop the plan to other consultants for an estimate. You’ll receive a proposal along with the project plan, and even though you’re not obligated to do so, my team and I would be thrilled if you decided to hire us to build the project for you! After all, by now we’ve been through so much together, don’t you think? It sounds like a lot, I know, dear client. But I’ve been doing this a long time, and I’m good at it, and I can help you. You’d be amazed at how much of this we can nail down in just a single 2-hour project discovery meeting, and even more amazed at how quickly my team can become an expert on how your business operates. So, instead of asking me questions whose answers are likely to rob you of great opportunities to improve your business, just ask me if the project you’re envisioning is possible, and then ask me when we can sit down together to do a discovery session on your idea. I’ll be happy to help you develop your project vision, and if the project turns out to be a bad idea for your business, I’ll be happy to tell you that, too. And if I don’t remember to offer, ask me to bring the coffee!